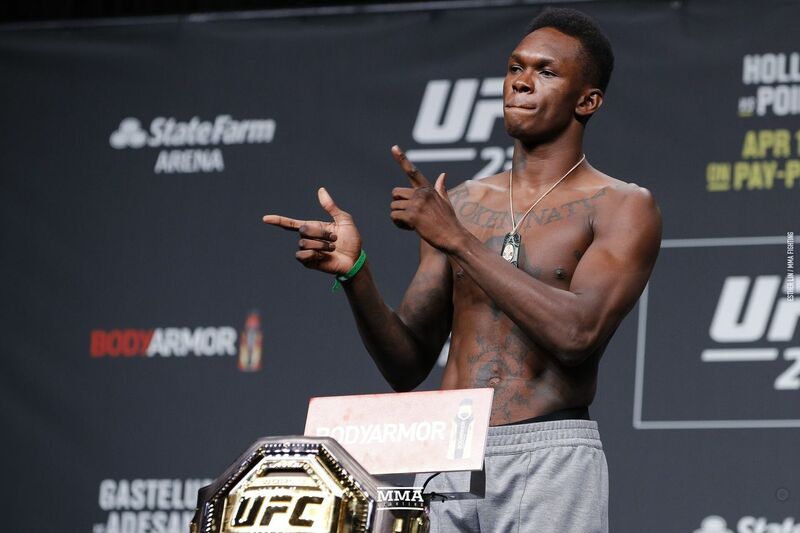 For the first time in his UFC career, Israel Adesanya has opened as a betting underdog. The newly crowned UFC interim middleweight champion was slotted as a +160 betting underdog in opening lines released Monday by online bookermaker BetOnline for a potential title unification bout against UFC middleweight titleholder Robert Whittaker. Whittaker, who has held the belt since July 2017, opened as a healthy -185 betting favorite for the future contest, which will likely take place in the third or fourth quarter of 2019. The gap between Adesanya and Whittaker has closed somewhat at the time of this writing, with Adesanya now sitting as a +135 underdog and Whittaker as a -155 favorite. It is likely that Whittaker vs. Adesanya will take place somewhere in the Oceania region given that both fighters live and train within the area. Adesanya (17-0) is unbeaten in six UFC contests since making his promotional debut in Feb. 2018. “The Last Stylebender” culminated his run with a scintillating victory over Kelvin Gastelum at UFC 236, which is already the frontrunner for 2019’s Fight of the Year. Adesanya also holds wins over legendary former champion Anderson Silva, plus middleweight contenders Derek Brunson and Brad Tavares. Whittaker (20-4) has not competed since winning a non-title rematch against Yoel Romero in June 2018 via split decision after Romero failed to make weight. Injuries and various unfortunate maladies have derailed the middleweight champion since, however “The Reaper” still rides a nine-fight UFC win streak that includes two victories over Romero, plus wins over Ronaldo Souza, Brunson, and Uriah Hall.